Le semestre s’intègre au propre cursus de l’étudiant dans son université d’origine et est validé au moyen de transfert de crédits (systèmes européen, américain, asiatique). The “Language, Culture and Society” program is a language program established on a progression from B1 (the required entry level for the program) to C1/C1+ on the CECR scale. It gives students an adequate linguistic mastery of levels B2 of the TCF or C1 of the DALF to continue on to university studies in France. The “Language, Culture and Society” program contains classes on literature, linguistics, business French, teaching French, cultural approaches to France and the European Union, history, etc. The “Language, Culture, Society” program has a number of different options. The “Language, Culture and Society” program is divided by levels. The B1 level is essentially oriented towards perfecting linguistic capabilities and towards a cultural and literary approach to France. At the end of the B1 level, the student/intern can understand essential points when a clear and standard language is used and the subject is something familiar pertaining to work, school, hobbies, etc; can get around in most situations encountered while traveling in a region where the target language is spoken; can speak simply and coherently about familiar subjects in their centers of interest; can explain an event, experience or dream, describe a hope or a goal and speak briefly about reasons or explanations for a project or an idea. The B2 level is a deepening of linguistic knowledge and an opening towards specific domains such as civilization, business French, literature, history, etc. At the end of the B2 level, the student/intern can understand the essential content of abstract or concrete subjects in a complex text, including a technical discussion pertaining to their specialty; can communicate with a degree of spontaneity and ease in a conversation with a native speaker with no tension for one or the other; speak in a clear and detailed way about a large number of subjects, give an opinion about a news item and explain the advantages and disadvantages of different possibilities. Depending on their choice of options, the student/intern will have deepened their understanding of French culture and society, both contemporary and historical, and will have started specializing their Francophone communication towards either literature or business. The C1 and C1+ levels offer practical learning and a theoretical reflection in one of three specializations: literature, linguistics or business/economy. At the end of the C1 and C1+ levels, the student/intern can give a clear and detailed speech, presentation or description of a complex subject, integrating secondary arguments and developing particular points to arrive at an appropriate conclusion; can easily follow conversations between a group of people or a debate and participate, even when the topic is abstract, complex and unfamiliar; and has mastered a vast vocabulary that allows them to easily overcome any gaps. Depending on their option choices, the student/intern will have gained university-level knowledge in literary, linguistic or economic domains. S/he will have deepened their understanding of French and European societies, and will have enriched their understanding of French culture and society, both contemporary and historical. Students’ levels are verified at the start of each session by an entrance test, staggered and following the levels of the CECR. The exit levels allow students to take the certifications of DELF and/or DALF. There are 17 hours of classes per week for a 14 week-long semester. The first week is consecrated to entrance exams and orientation. The classes allow for a number of options (see table). By preparatory classes for B1, B2 and C1/C1+ certificates. 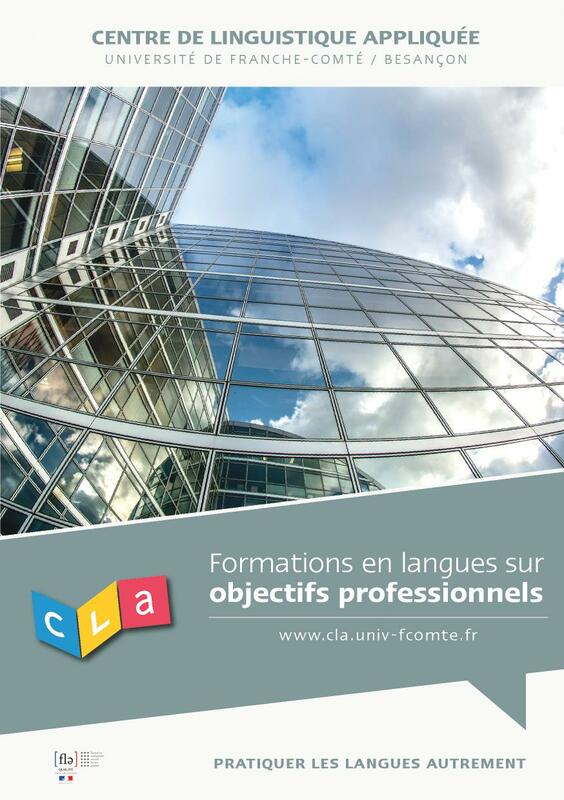 Guarantee university-level language skills before beginning a university or other career in France. Consecrating a semester or a year of study—the year abroad—developing a greater understanding of France and French. This year can be integrated into the students’ own university studies and is validated by a system of credit transfers (European, American and Asian). 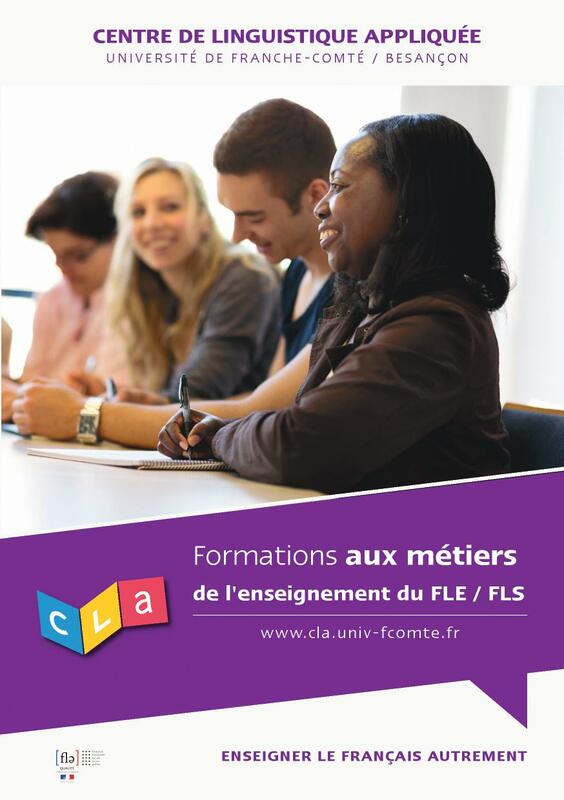 Each level can be validated by a diploma from the University of Franche-Comté as long as the student is enrolled in the university. Get in touch with the cultural services of the French Embassy to see if the studies you have undertaken thus far give you the equivalent of a French Baccalauréat, a requirement for student status. If you are already enrolled in a university, even if you haven’t received a diploma, please furnish a attestation d’inscription from the university where you studied. Your documents must be translated into French and certified as valid translations. 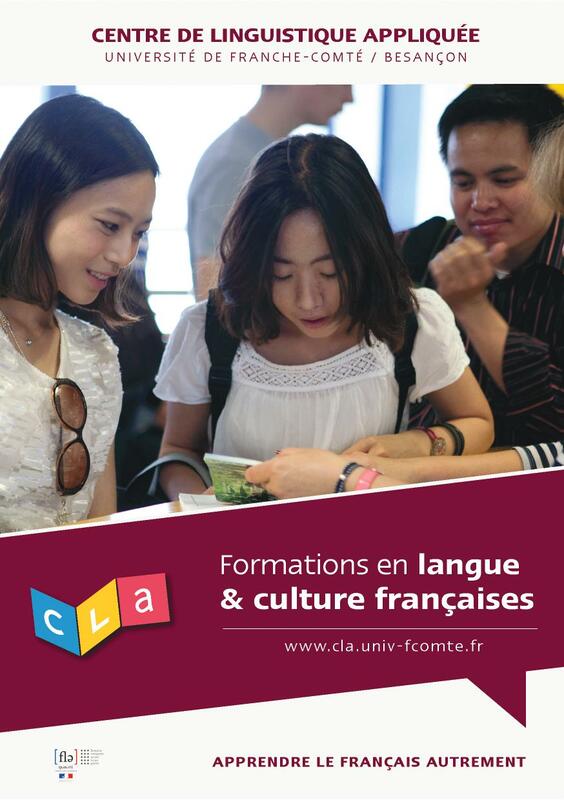 When you arrive at the CLA, you will fill out a university application (you will pay complimentary fees: university fees and student social security fees that are mandatory if you are less than 28 years old except for citizen of the European Economic Area country). University tuition and social security fees are published in July. A proof of studies and transcript is given at the end of each semester. A university diploma if the student is enrolled as a student at the University.